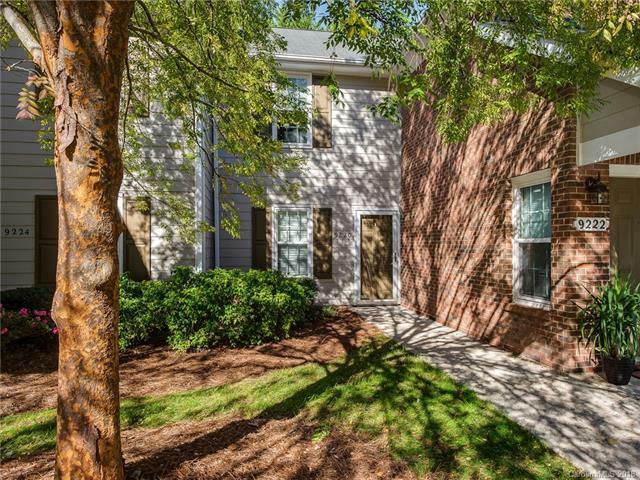 Sought after ground level one story condo in South Charlotte. New Pergo floors in kitchen and living areas. Open plan with masonry wood burning fireplace. Condo features recently replaced windows and sliding glass door. Deep interior storage closet. Covered rear patio overlooks wooded area and exterior storage closet. Exterior of building has new siding. Community pool and tennis.